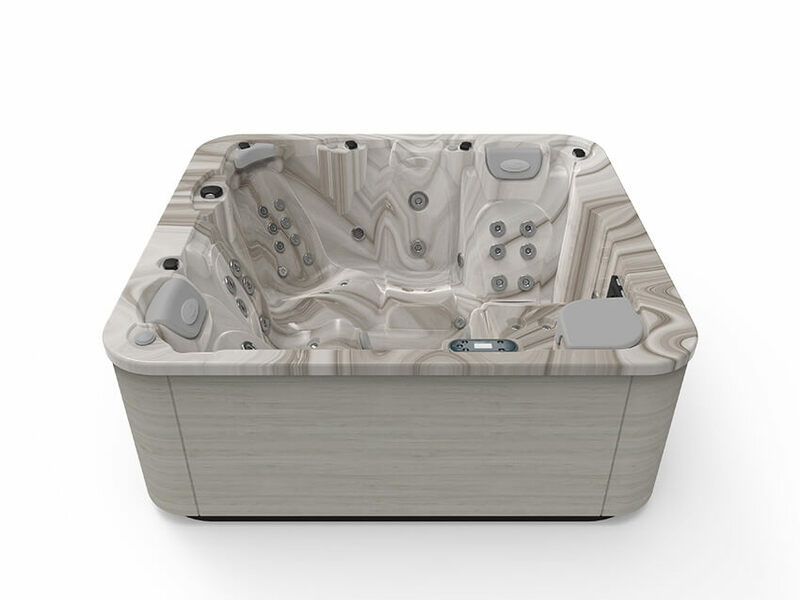 The Spa Advance 50 is the result of years of research and development (R&D) with the mission to improve the user experience through design and technology. 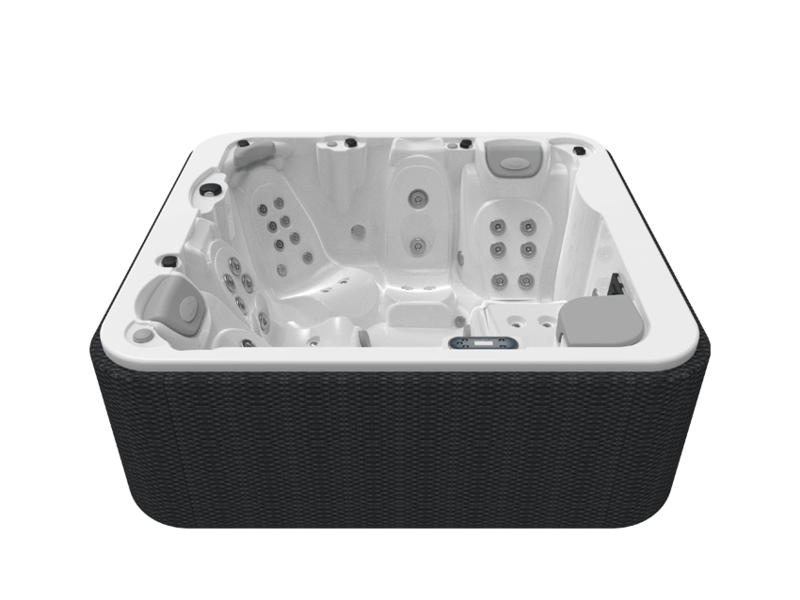 It is a reasonably-sized 5-person hot tub that makes the most of its space and provides a complete and versatile wellness experience. With its 2 loungers aimed towards each other in an L shape, and its 3 seats arranged opposite them in the shape of a fan, the Spa Advance 50 is designed to provide exceptional experiences either for groups or couples, with different layouts of jets and nozzles in each position to offer complementary hydromassages and make it easier to move around the space. Buying a Spa Advance 50 is a very safe bet. 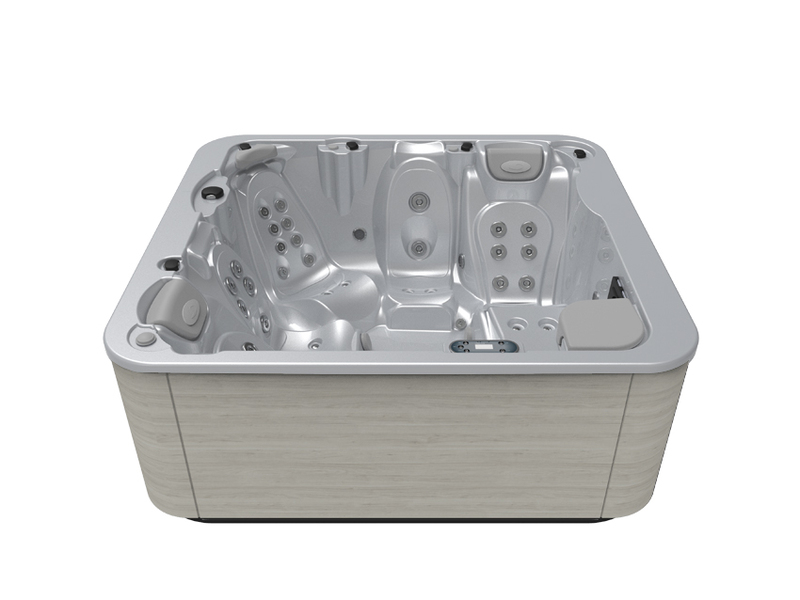 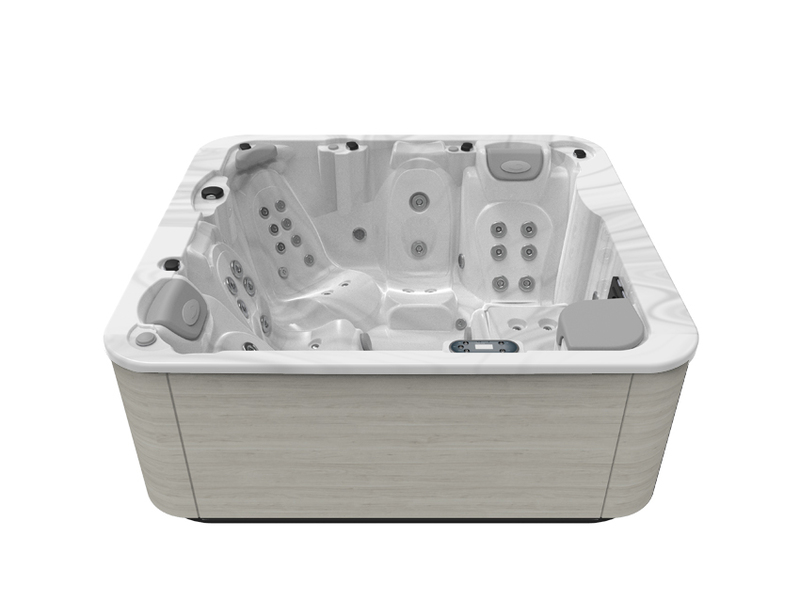 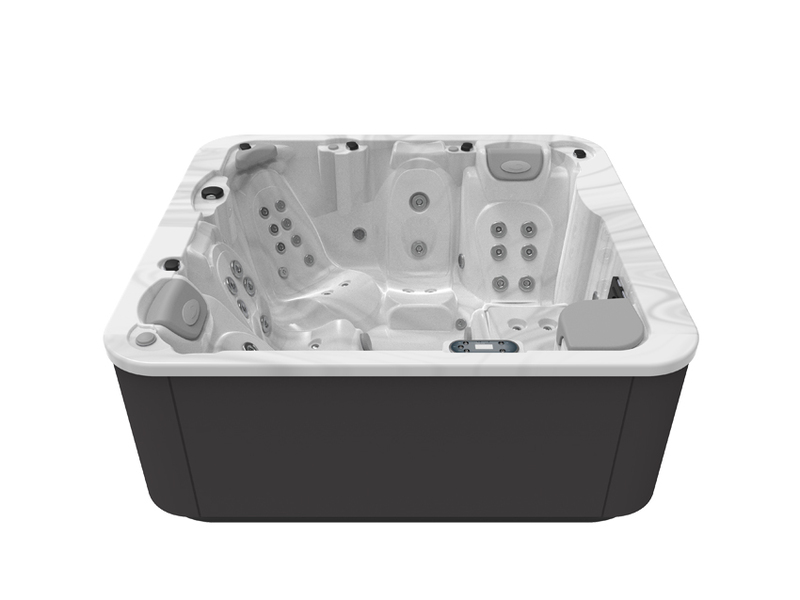 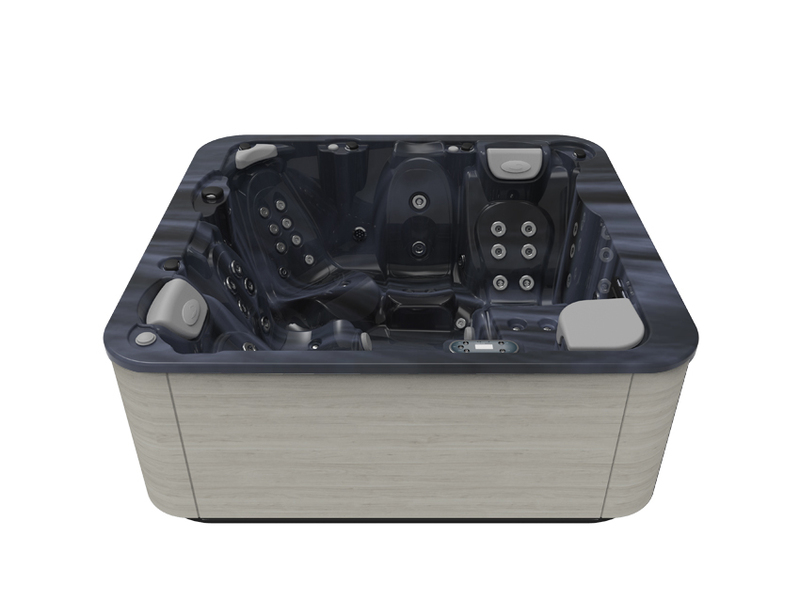 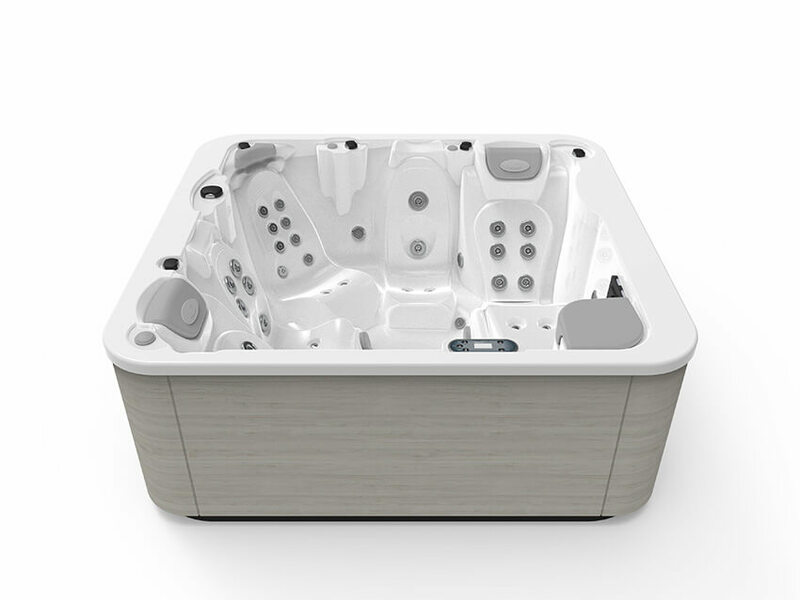 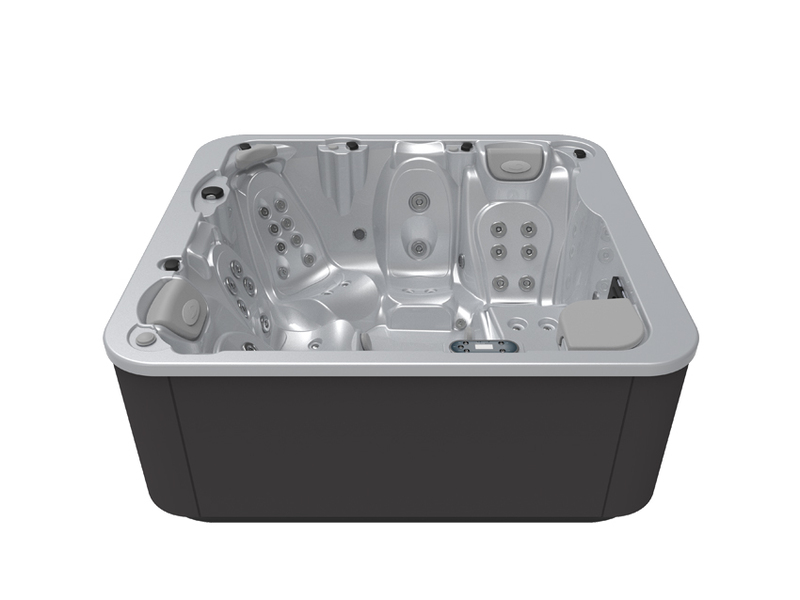 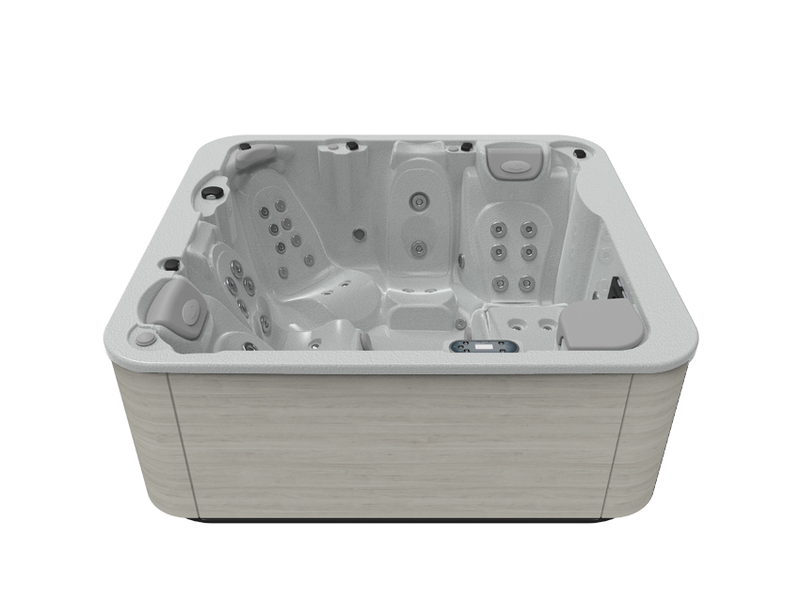 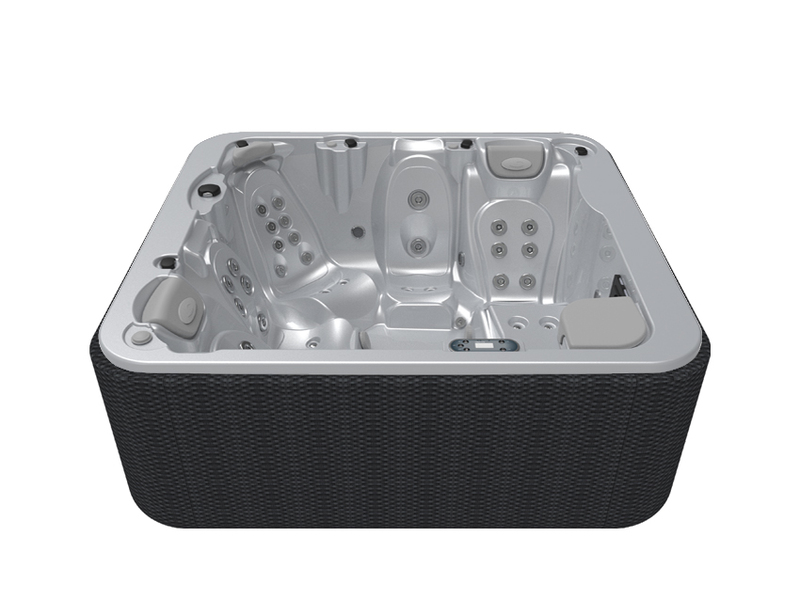 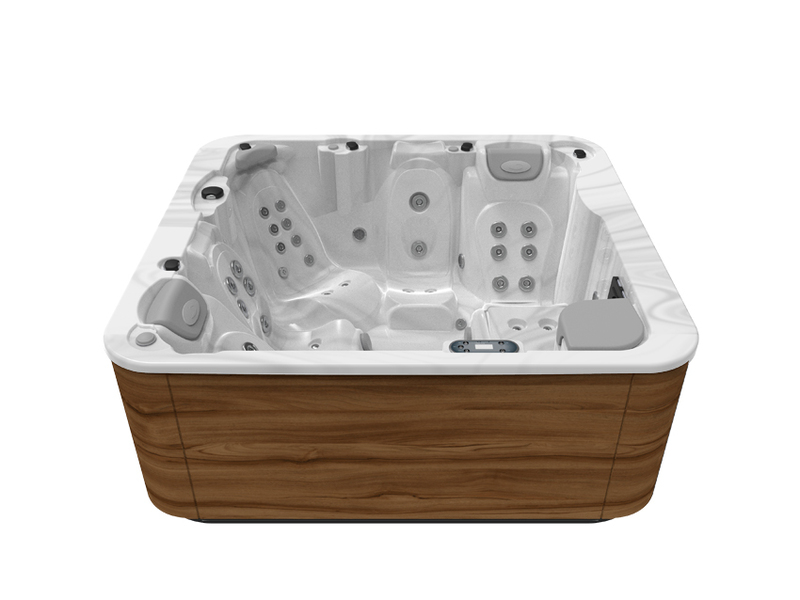 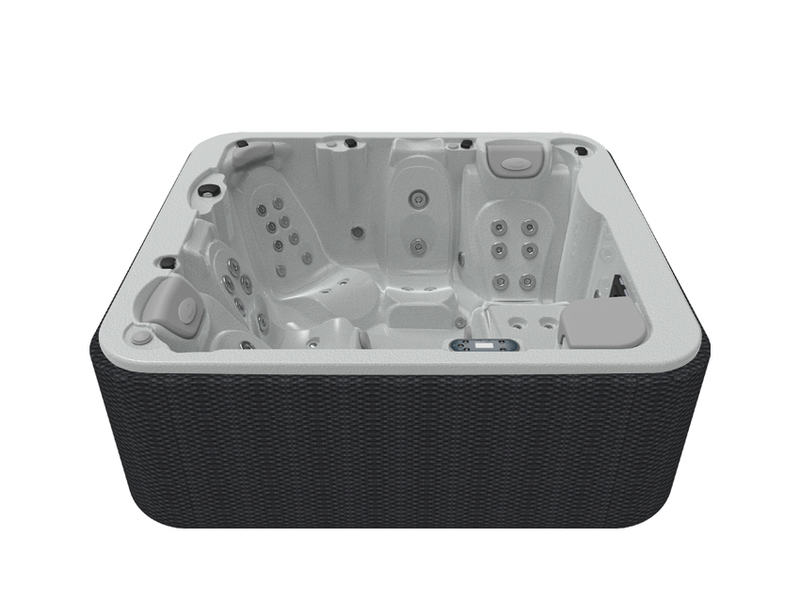 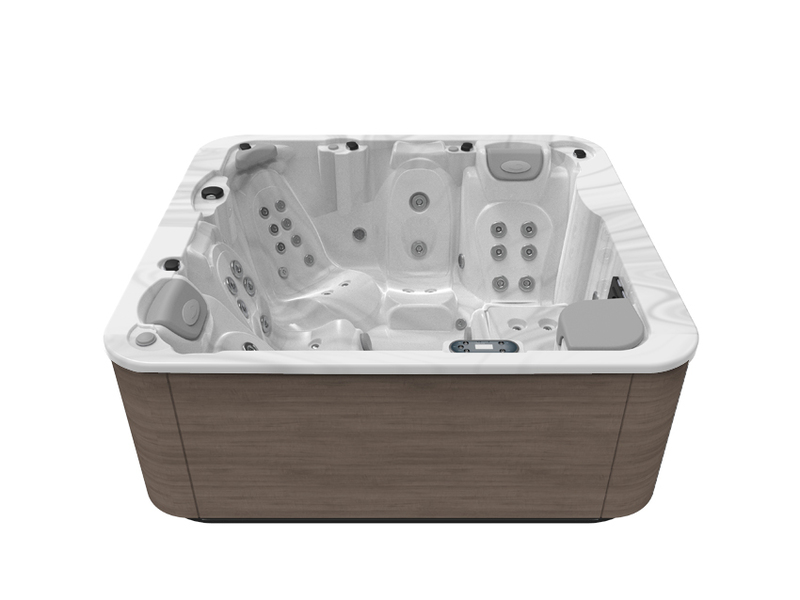 The Advance 50 is an excellent family hot tub, and is great to share with guests. Like all of the models in the Aquavia Spa Premium range, it is a hydromassage tub that offers many features and an added value thanks to its attractive design (a continuous Woodermax exterior with no screws or other elements that affect its look) and its fully-equipped interior: stainless nozzles and jets, headrests, 2 waterfalls, 2 water fountains, LED lights with bursts of colour for chromotherapy, with the option of adding up to 5 Colour Sense spotlights. 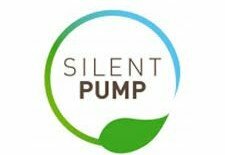 There are also other features that cannot be seen: a Silent Pump to ensure silence during filtration, a high performance pressure filtration, a dual water injection pump for added power and Aromatherapy to enjoy unique fragrances that don’t make the water dirty. 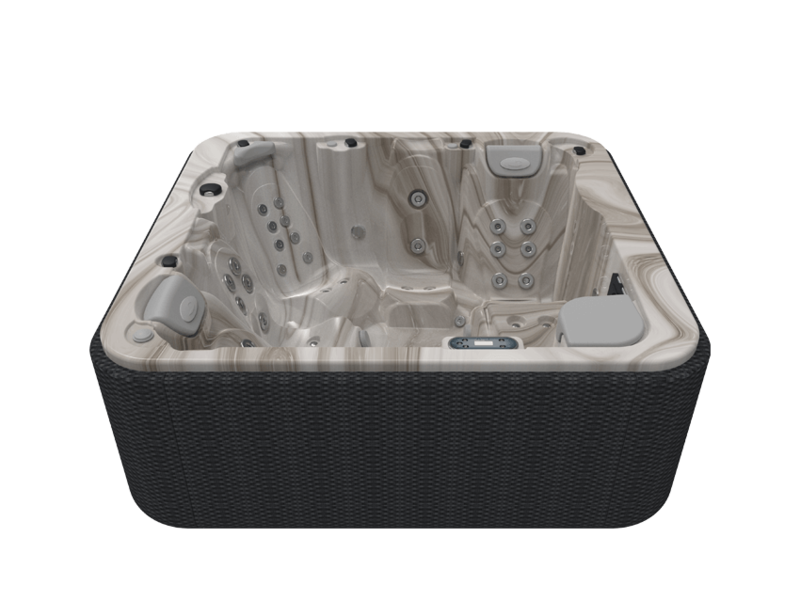 The Aquavia Spa Premium range can be enhanced by adding optional features, such as Surround Audio Bluetooth surround sound, which can be controlled from any mobile device, or the Wi-Fi Touch Panel to regulate hot tub functions remotely from anywhere. 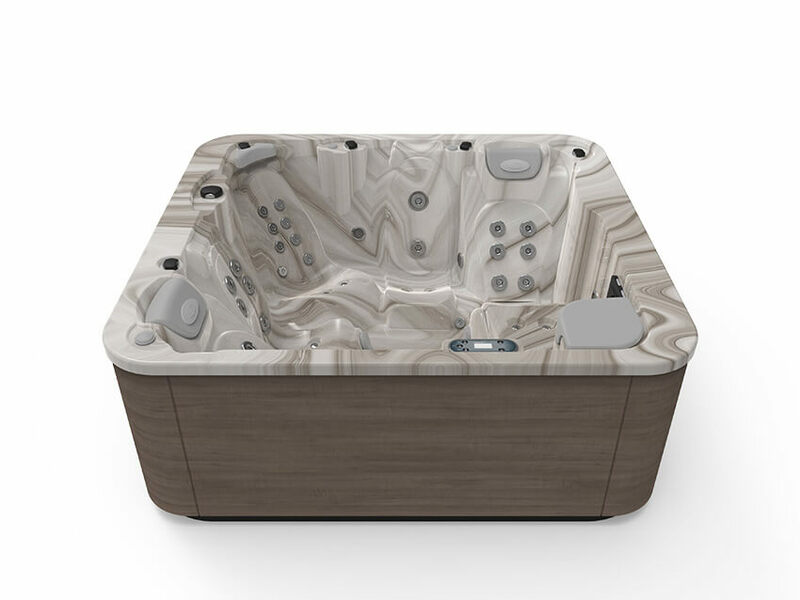 Like many other models, the Advance 50 can be purchased with or without a cabinet, to be built into the ground or covered with any structure, without sacrificing its EcoSpa double insulation system and its anti-corrosive and non-deforming Metal Frame. The Spa Advance 50 is a smart choice if you’re looking for a versatile hot tub that is relatively compact and can be installed indoors or outdoors (garden, terrace, porch, swimming pool area). It provides your home with comfort and well-being, as well as design and distinction.